My.com has released more information on content for the upcoming highly-stylised MMORPG featuring exciting dynamic combat in Skyforge. The new details explains the classes available in the game. 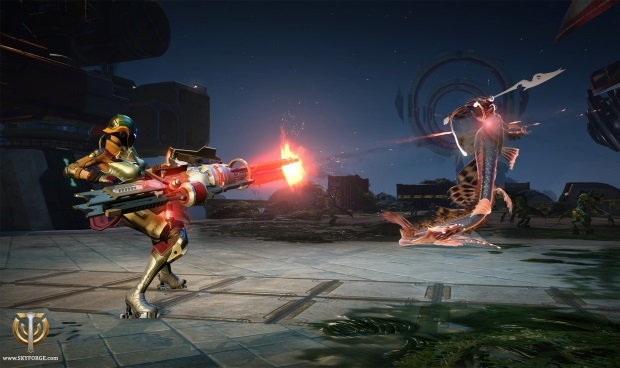 “In Skyforge classes are divided into several groups depending on access level. Beginners have access to three classes at the start of the game – Lightbinder, Paladin and Cryomancer. Gradually, after completing various adventures and receiving rewards, intermediate and advanced classes, with 5 in each, become accessible. For example, a Berserker is an intermediate class and it will take several days from the start of the game to gain access to it. However, to play as a Gunner you would have to spend several weeks developing your character because it is in the advanced group. Moreover, as we have already said you can change your class anywhere and at any time as long as you or your group is not in combat. You do not need to waste time going to a special place in a certain town – you can change class whenever and wherever necessary.